Our karate club celebrates birthdays with awful singing and low-calorie (haha!) treats. When it’s my birthday, one of the guys makes my treats, which is fun for me. I’m all about the chocolate, and luckily that’s what they make. One year Will made French Silk pies, and one time Sean made Oreo Truffles for my birthday. I’d seen a post from Sean over the weekend that he and his daughter were making truffles, but had no idea they were for me! 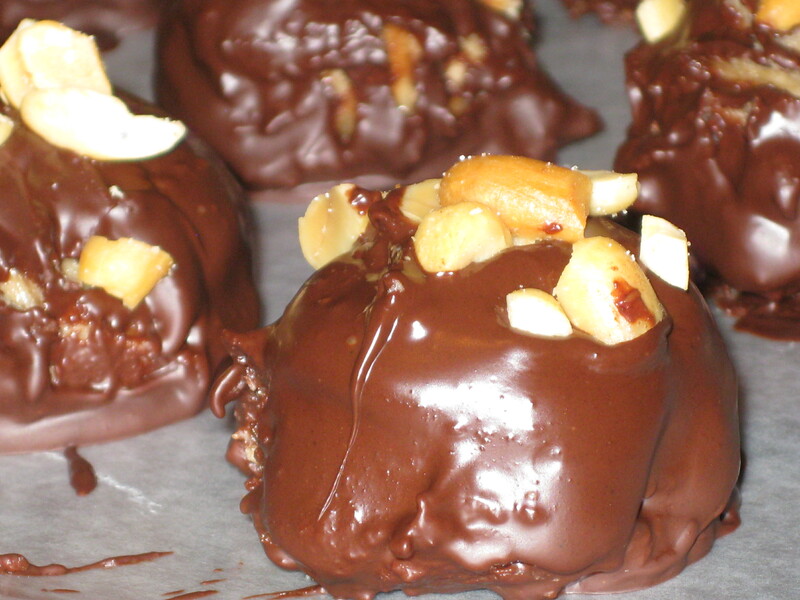 When I asked for the recipe, Sean also sent along a recipe for a chocolate mint version and these Nutter Butter Truffles. Click for recipe. I was amazed to find there were so few ingredients in them! How could that be? Surely something that tastes so good must have a long list of ingredients. The secret? Starting with Nutter Butter cookies. 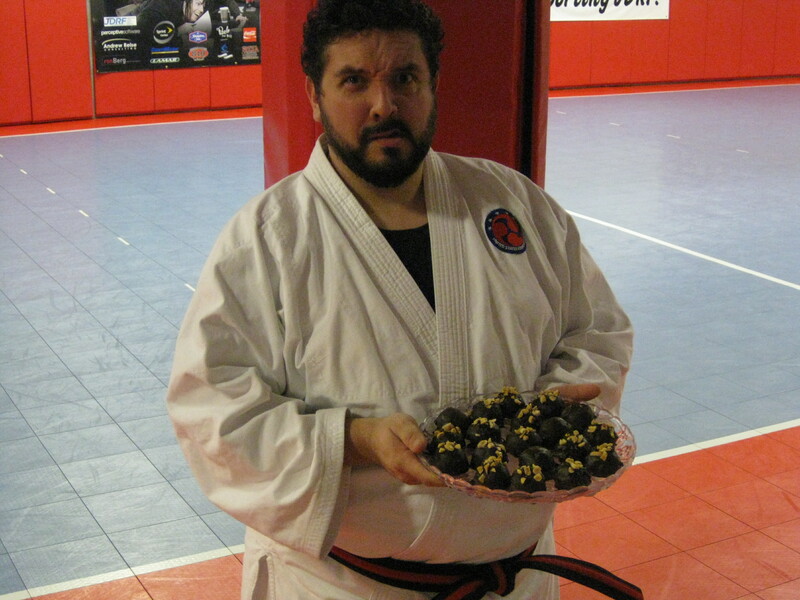 Last week we celebrated Peterbilt’s birthday after our karate workout. Peterbilt’s choice was these peanut butter treats. As much as I hate dipping things in chocolate, these are SO worth it! It’s been awhile since I made them, and I forgot how much I like them. The creamy peanut butter filling is SO good! Sean said he’s even used the peanut butter mixture as cake filling or topping, which is something I will keep in mind. I made these in the food processor. Actually, I think I killed my food processor with these, but that was only because it’s time for a new one. I’ve done these a couple of other times in my food processor without trouble, so don’t let that scare you off. In retrospect, I can’t remember when I bought it, so that tells me it was a long time ago. Now I’m in the market for a new one, so any future batches will be on hold until then. Check out this simple, but delish recipe and see what you think! Oh, YUM! I’m old school: I want a format for Print page! I would love to make these, and probably already have everything on hand. Thanks, Shel! I’m still figuring all this out, but will learn to do the Print thing. Thanks for the suggestion! Let me know if you try them.